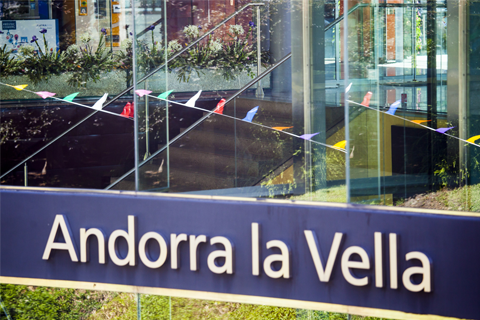 Andorra is the perfect destination for business trips that strike the right balance between working and leisure time. The Principality is home to almost 35,000 hotel places, with more than 20 hotels with a special business and conference label, and the best meeting locations and conference centres, all of which guarantees a productive and enjoyable business event. In this business climate, when organising seminars, conferences, conventions, forums, trade fairs and other events, it is as important to choose the right venue for the event itself as it is to select an interesting city, so that participants can make the most of their leisure time. 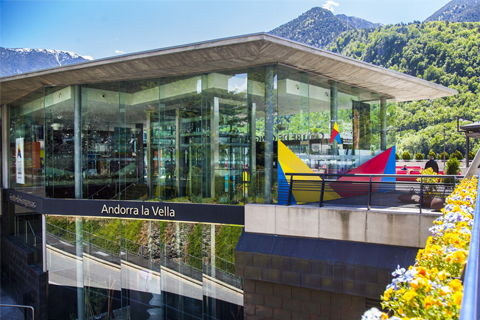 Andorra la Vella ticks both boxes. 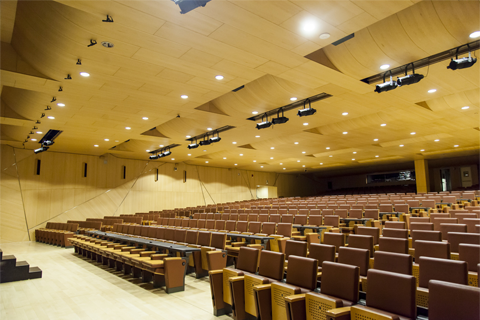 The city is home to a 4,000m2 conference centre, divided into five event spaces, including a 900-seat auditorium, with all the latest technology you could need. As well as its modern facilities, its location could not be better, near great hotels, exceptional restaurants and the main shopping streets, where visitors can unwind and shop for quality items at low prices. 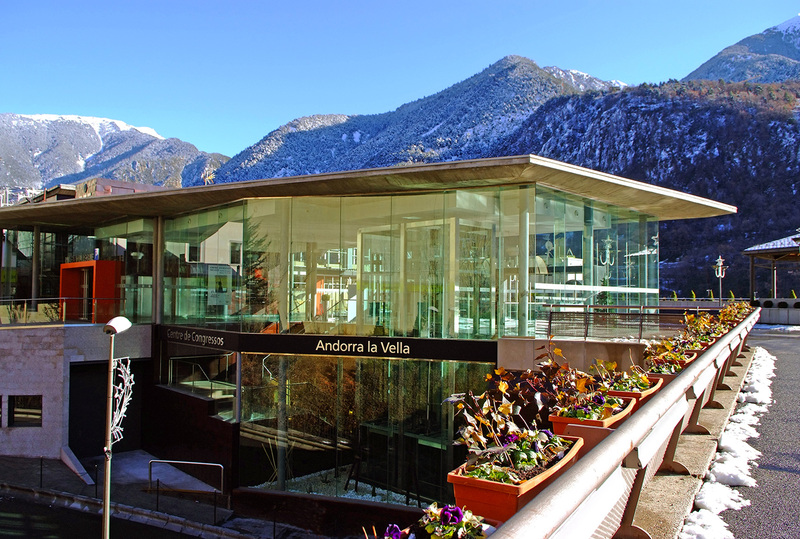 The Congress Centre of Andorra la Vella is located in the very heart of the city in an unsurpassable location, with local hotel accommodation reaching a total of more than 5,600 beds and with over a hundred restaurants, the city has become the ideal location for professional events of all kinds. This venue has the facilities, advanced technology and staff (all of whom are highly trained, creative, thorough and hardworking) to make your event a huge success. It also offers an extensive choice of complementary services: photography, catering, decorating services, filming, etc. 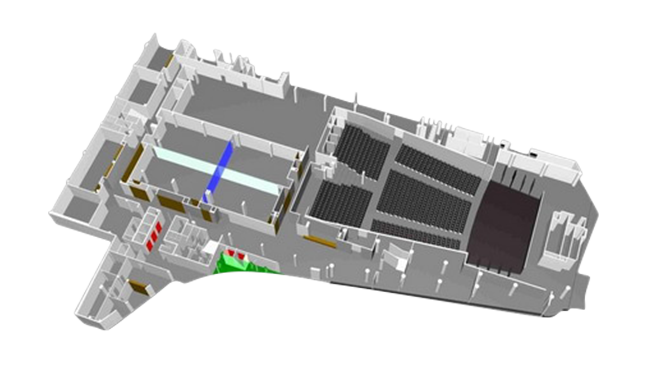 The Congress Centre covers 4,200m² distributed over a 900-seat auditorium, which can easily be converted into 450-seat working room, fitted with writing desks, electrical sockets, multimedia resources, interpreting booths, top-of-the-range equipment, a kitchen and catering service and parking service for clients. 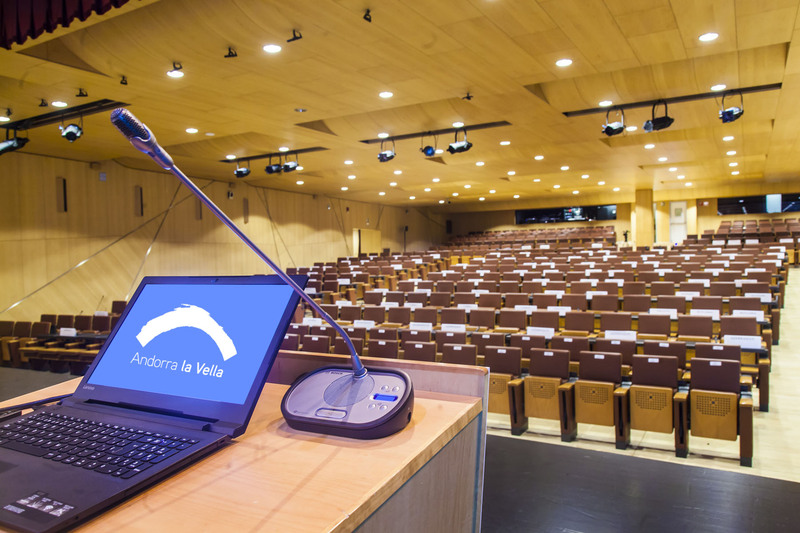 It is also home to the La Consòrcia room, a versatile 570m2 space separable into 4 rooms that can host between 50 and 100 people, then four adjoining, soundproofed rooms with space for 30–50 people, all fully equipped with loudspeaker, audiovisual and simultaneous interpreting equipment. 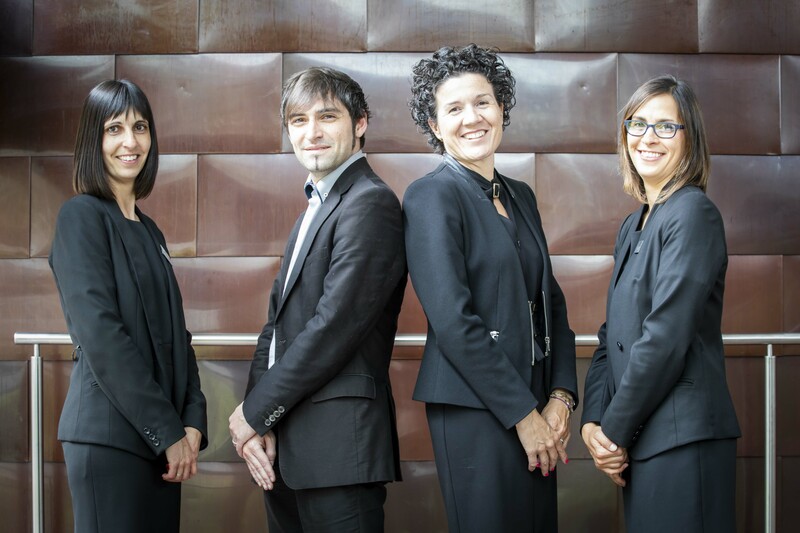 What is more, our facilities come with all the furniture necessary for a successful professional meeting and are accessible for people with reduced mobility. 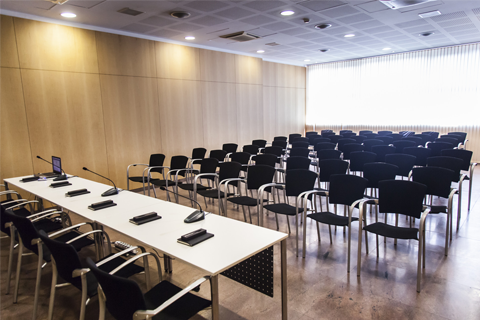 The Congress Centre’s management will handle your event with total efficiency and will offer advice so that you exceed your expectations. 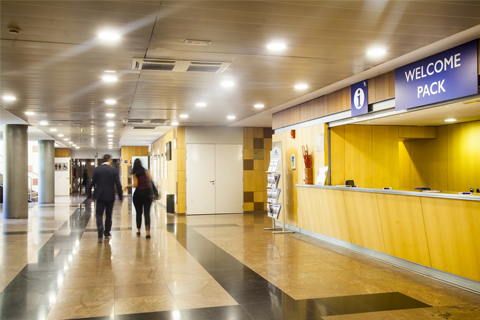 The floor area at the Congress Centre includes a lounge with a coat-check area, a desk for customer service and registration, the area is also ideal for rest periods and coffee breaks. 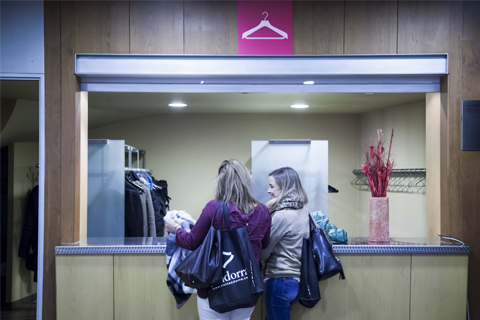 The Congress Centre team has all the necessary information for recruiting professional hostesses for the cloakroom. 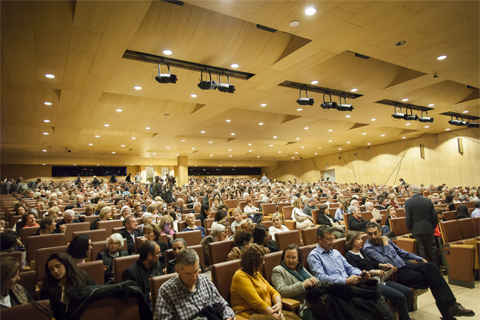 The auditorium has a total area of 1,100 m2, with 900 theatre-type seats, which can be easily converted into 450 office chairs, each, fitted with a writing desk. 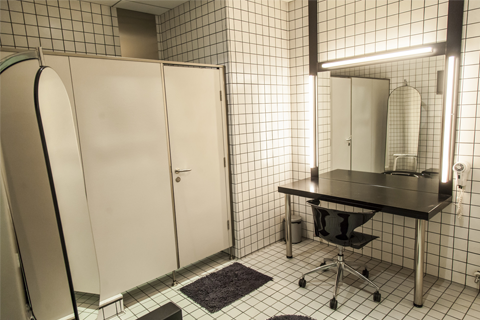 The Congress Centre has 4 dressing rooms (2 VIP dressing rooms and 2 group dressing rooms) totally adapted and comfortable, with individual and group bathrooms incorporated. 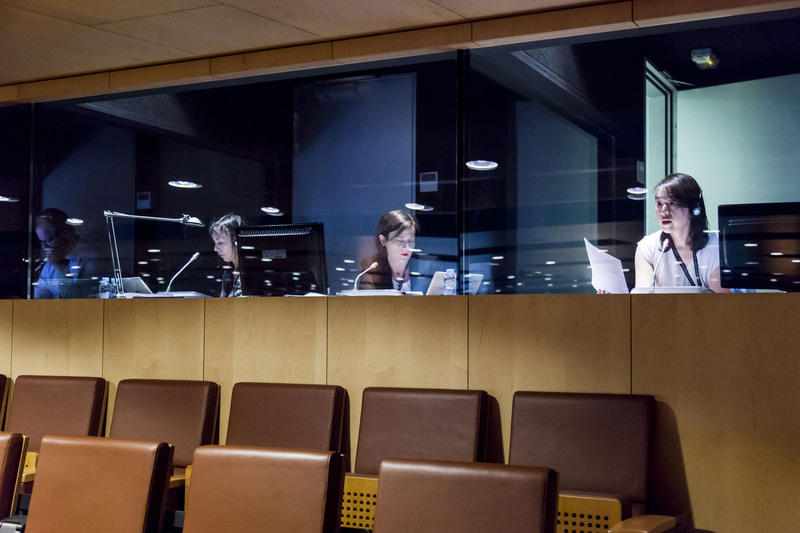 There are 5 translation booths equipped with the latest generation Bosch system, fully soundproofed and with a very good view of the stage. A functional space equipped with the latest technology suitable for any type of event, from conferences to the most technologically complex shows. The hall comprises an area of some 570 m2 and is noteworthy for its multi- purpose, versatile design. It may be divided into either four separate areas or two combined areas, making it an ideal area for conferences, training sessions, banquets and coffee breaks. A multi-purpose salon with natural light which can be used for professional meals, a training or meeting room, a VIP lounge or a rest area during events. 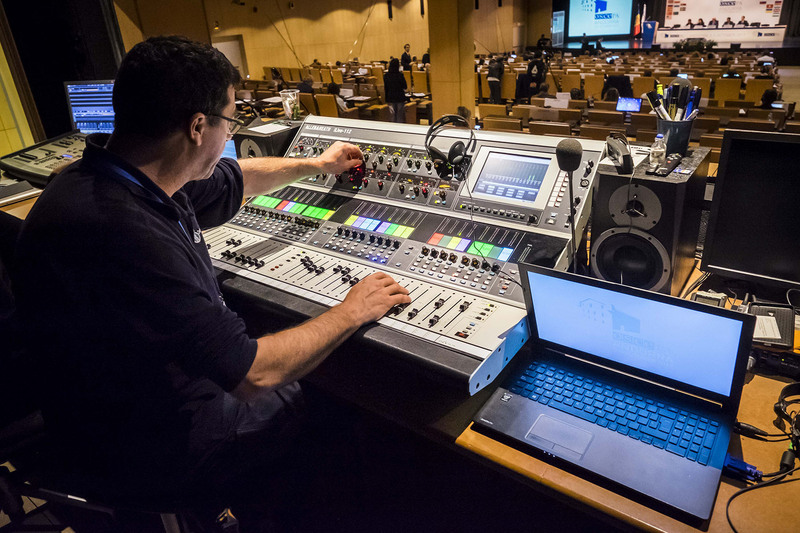 The room’s technical equipment can be prepared according to the specific needs of each event. 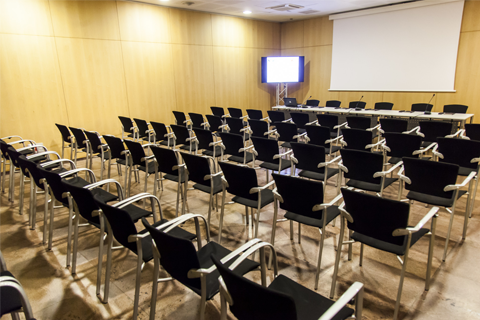 An ideal area for seminars for up to 15 people, press conferences and training sessions. A screen, projector and translation receptors are available. 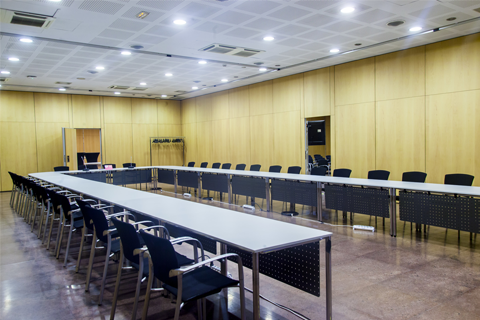 This is an area for seminars, press conferences, small-format meetings, or it may be used as a room parallel to the conference hall with a theatre-type seating arrangement and a maximum seating capacity for 50 people. A powered screen, elevated projector and translation receptor are available. 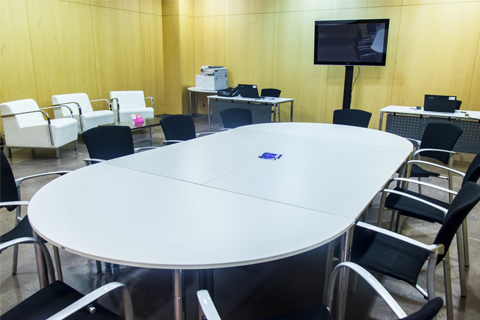 This is an area suitable for holding meetings in a U-form or for establishing the technical secretariat of the event. A projector and a powered flip-chart screen are available. The Aqua Hall also has a computer and complementary services such as a photocopier and fax. The Congress Centre coordinates catering service contracts for light meals during breaks or professional dinners. 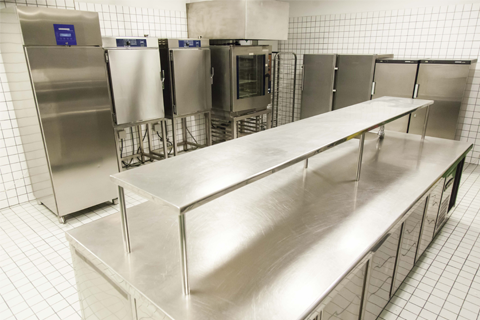 The kitchen is fitted with a cold and a hot area as well as a cold chamber. 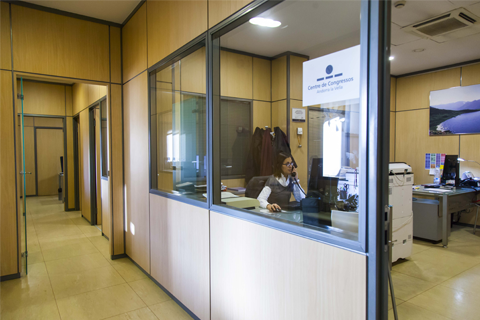 The Congress Centre is responsible for coordinating all those facilities and services at our disposal. We take care of your event, from preparation through to dismantling. Our staff are on hand to provide the assessment you need to organise your event. 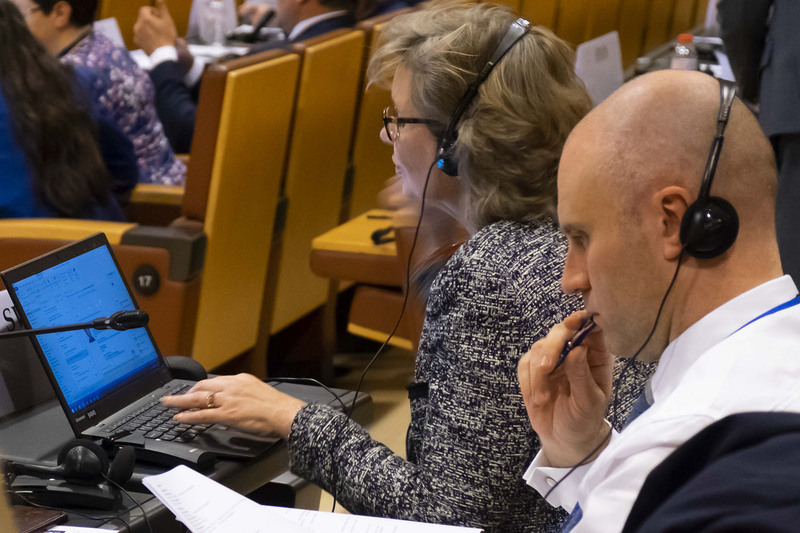 The Congress Centre is equipped with the latest technology and has exclusive equipment for hire which may be used for a wide range of events. 9th and 10th April 2014. 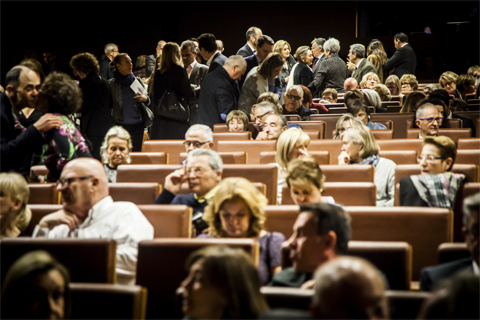 The Congress Centre hosted on June, 1st and 2nd, 2018 the 13th Congress of the Catalan Society of Pathological Anatomy, which gathered 150 professionals. The congress focused on the new diagnosis techniques based on the analysis of each patient’s genetic alterations, a fact that can contribute to adjusting cancer treatments. Nam nec nulla et turpis gravida sagittis quis id mauris. In aliquam ante eu ipsum finibus accumsan. Cras volutpat nisi et dui interdum dignissim. Nullam tristique ultrices turpis id volutpat. Mauris venenatis diam justo. In in urna eu tortor ullamcorper aliquet id at neque. 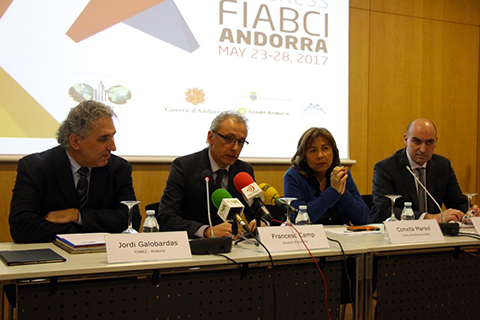 In May 2017, the Congress Centre played host to the 68th FIABCI World Congress, the most important international real estate event, which, this year, was based on smart cities and buildings. It was a week full of talks, meetings and networking, with over 500 attendees from more than 45 different countries, and exceptional presenters like the famous architect Jean Nouvel, who is currently working on a project in Andorra, "La Querola". 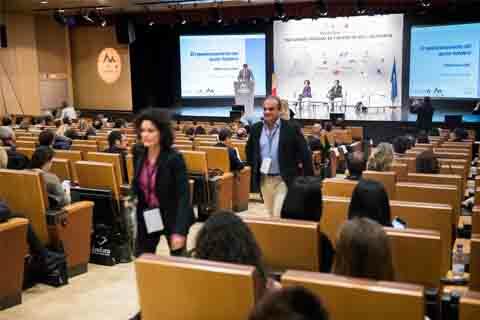 The 10th World Congress on Snow and Mountain Tourism, held at the Congress Centre, gathered 400 participants of more than 30 nationalities. The international experts mainly discussed topics related to hospitality strengthening in the snow and mountain destinations and to the use of new technologies for the improvement of the accommodation and the increase of the quality of the offer. 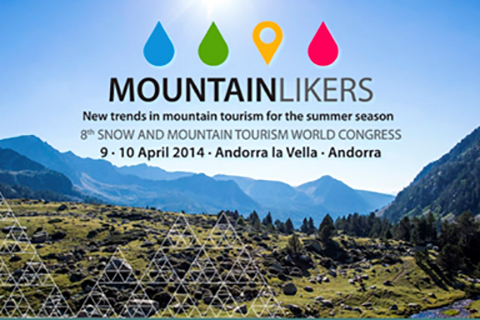 Since 1998, the World Tourism Organisation (UNWTO) has collaborated with the Principality of Andorra to organise the World Congress on Snow and Mountain Tourism, the success of which keeps building year on year. The aim of the Congress is to encourage debate among the industry's main players – professionals, politicians and experts from all over the world – on current issues and challenges involved in mountain and ski tourism. The 2014 edition aimed to understand the changes going on in the mountain tourism sector and to identify a new target audience, in order to design strategies to make investment more profitable in the holiday season. Over 20 experts from all over the world attended, and existing models were presented from countries such as Austria, Canada, the USA and Switzerland. 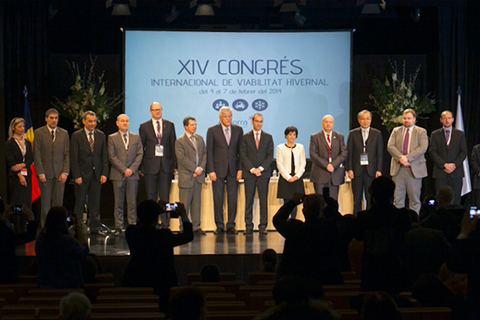 For the first time in the Pyrenees, from 4th to 7th February 2014, the Congress Centre hosted the International Winter Road Congress. With a view to creating a platform where different opinions and visions on how to develop strategies could be shared, and carrying out initiatives to increase mountain destinations' potential with regards to summer tourism, a total of 1,000 delegates from over 85 countries, 500 presenters and 3,000 attendees were present at the event – a new record, according to the organisation.